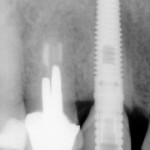 We had a case recently of a patient who came to our clinic with a failed dental implant treatment complication. 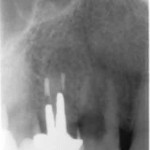 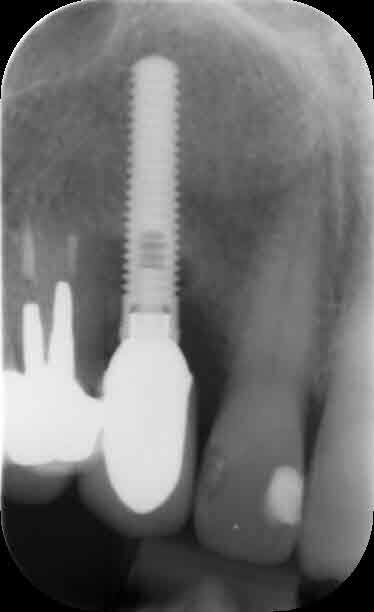 We had initially seen the patient in 2011 for implant treatment. 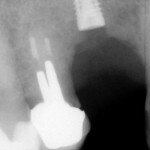 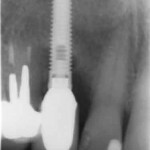 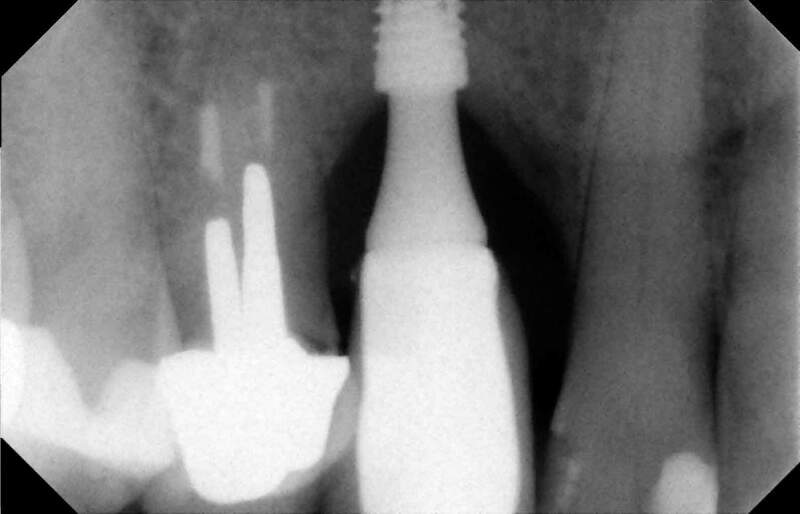 The implant treatment was completed and the patient was generally happy. 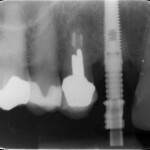 At the time when the final crown was fitted in 2011 we had noted that there was some bone loss around the implant. 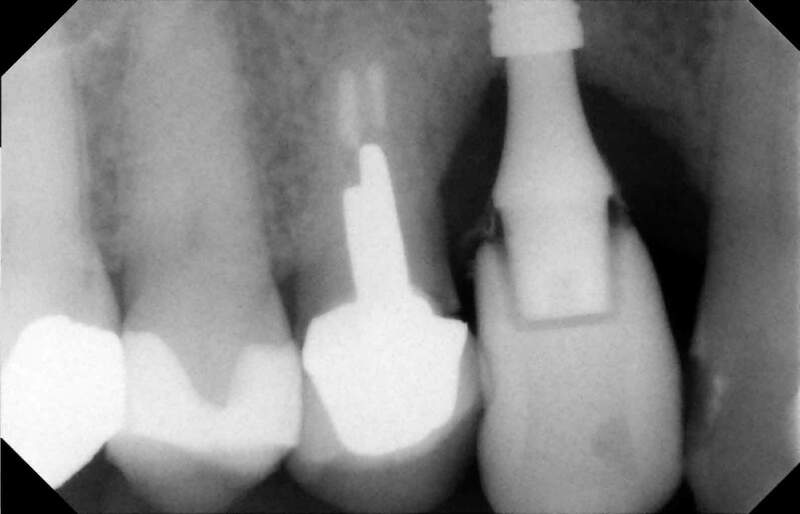 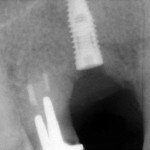 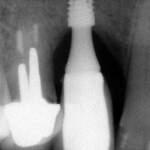 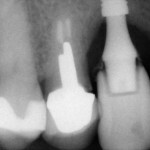 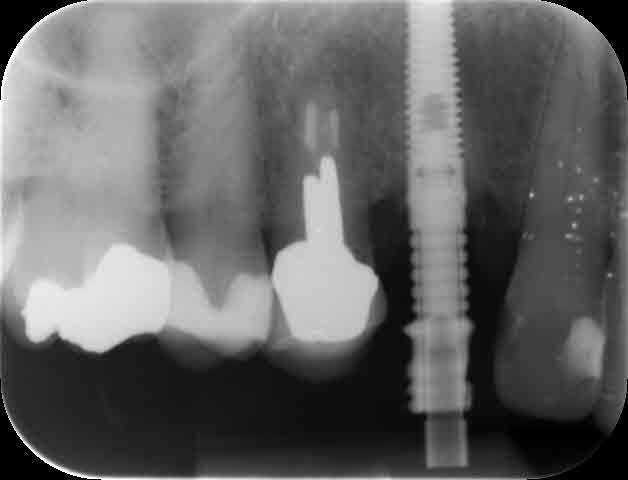 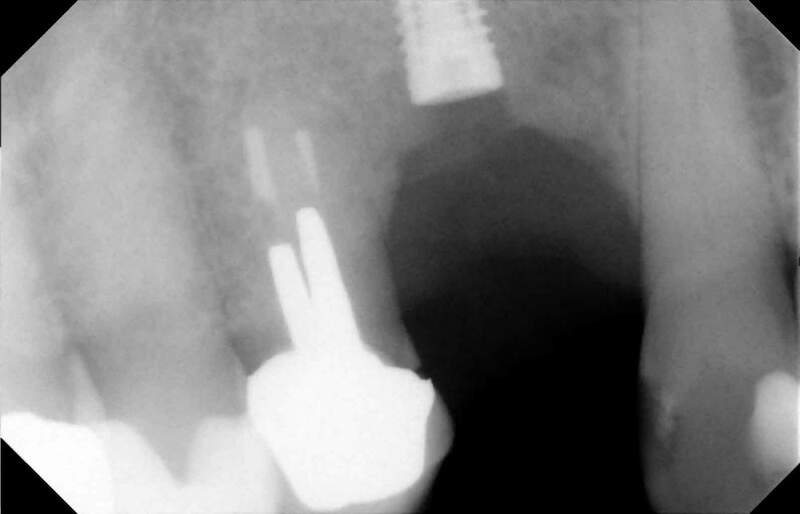 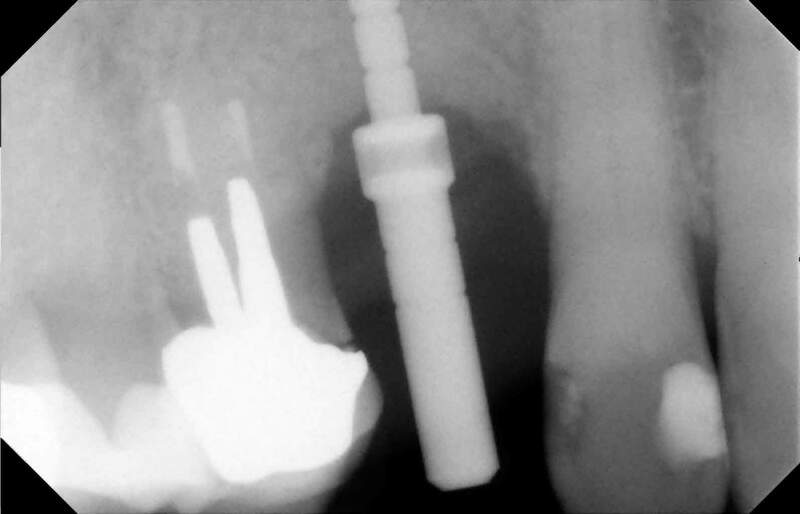 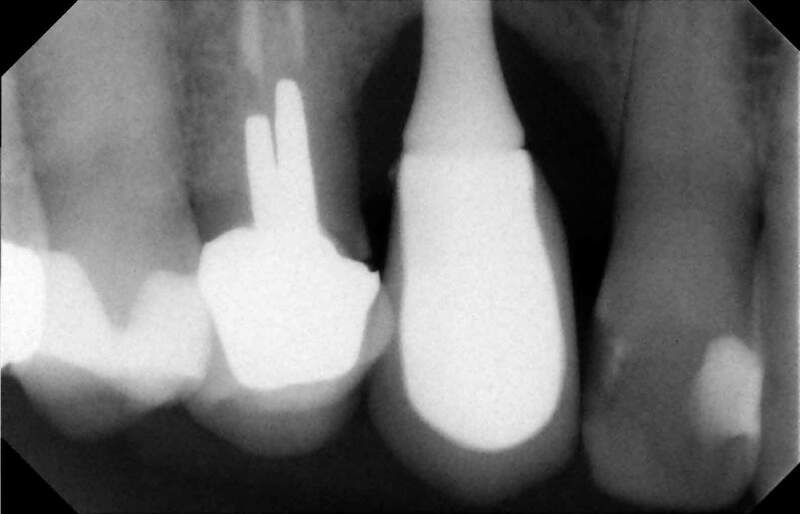 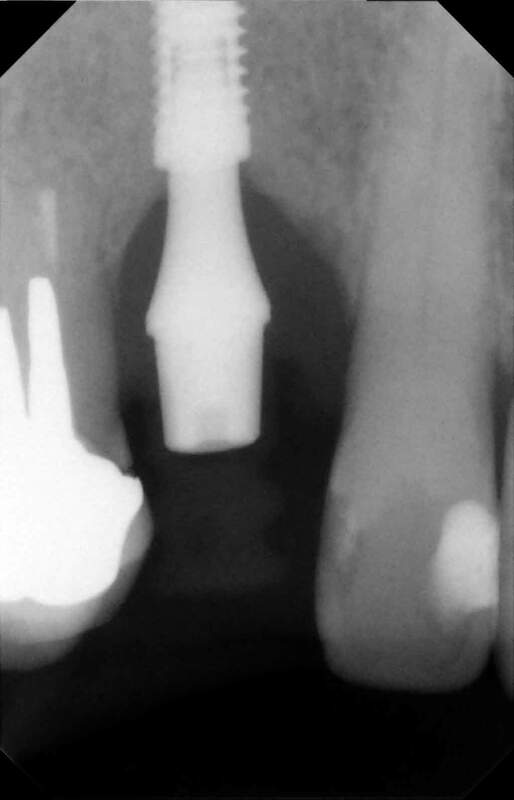 The patient was not aware of this and did not have any problems leading up to the crown being fitted. 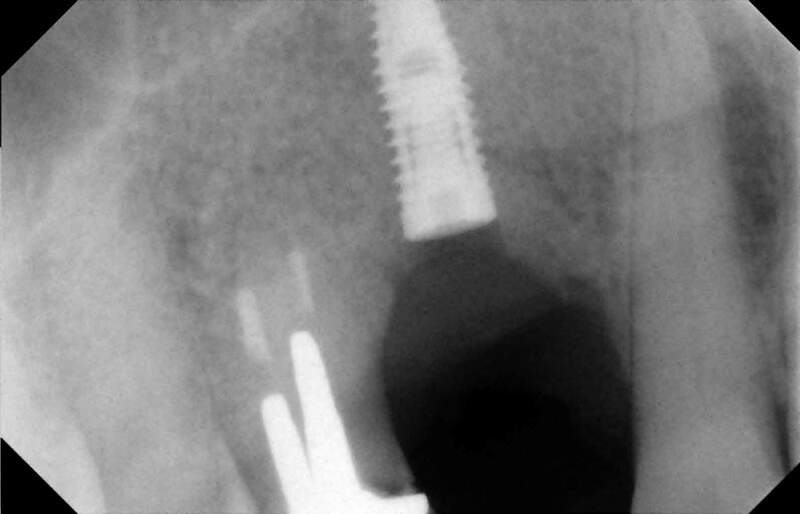 The patient was monitored over the following 3 years and during that time the gum tissues started to become slightly inflamed and tender around the implant. 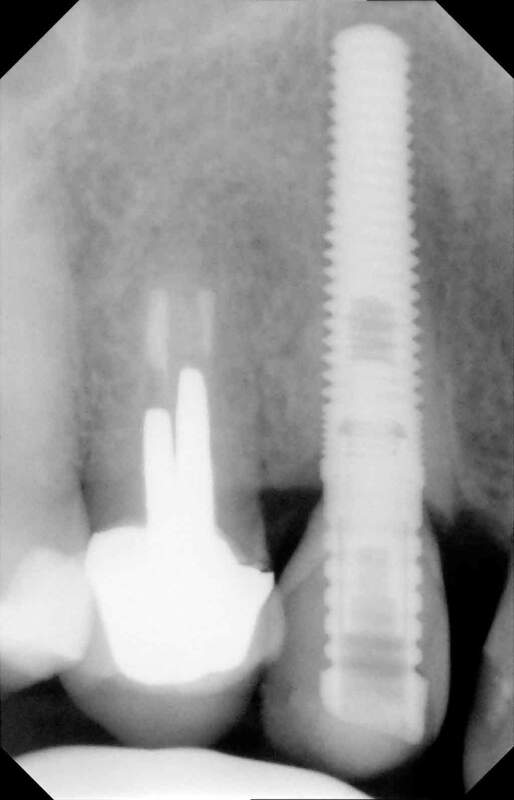 In 2014 we decided to remove the implant and replace it. 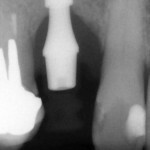 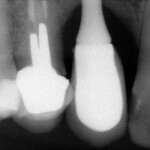 The radiographs are shown below. 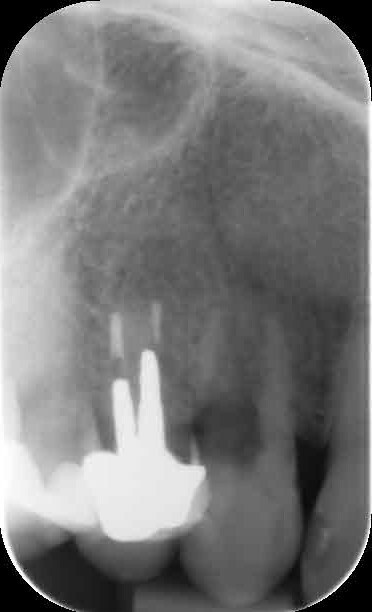 upper right canine natural tooth showing root resorption. 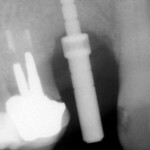 The definitive crown was fitted, bone loss was already evident around the implant.